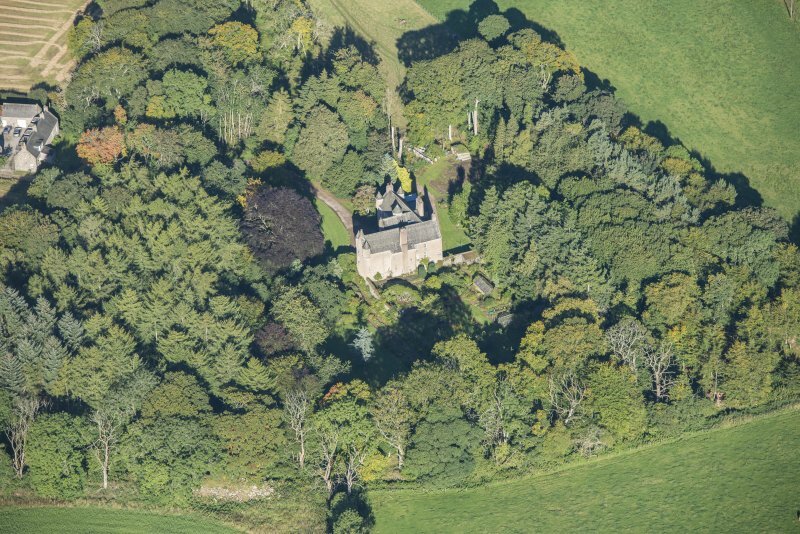 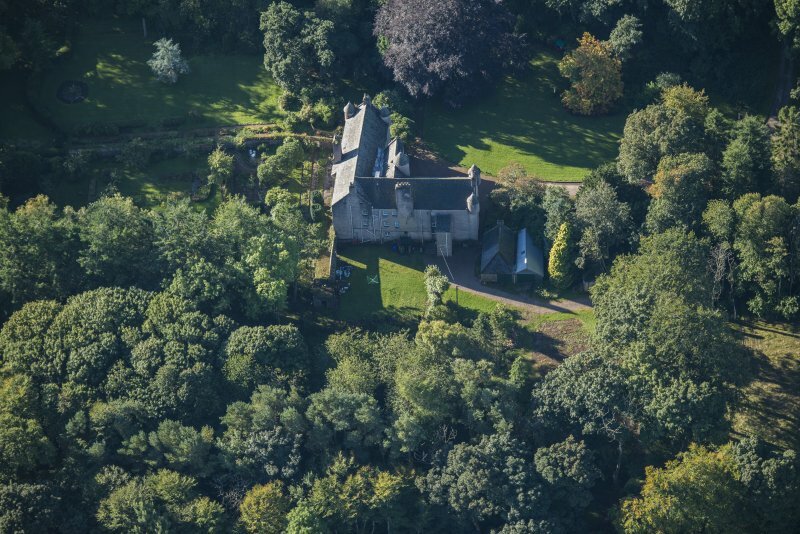 Oblique aerial view of Balbithan House, looking ENE. 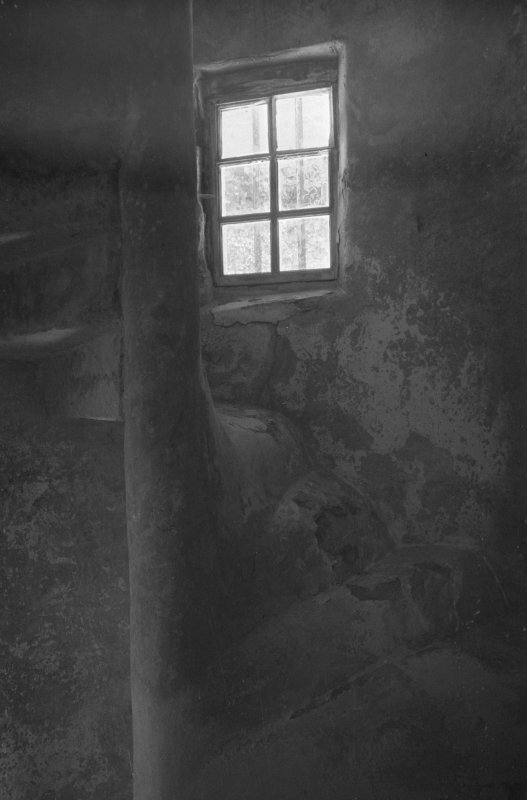 Interior view of Balbithan House showing newel stair from library to basement. 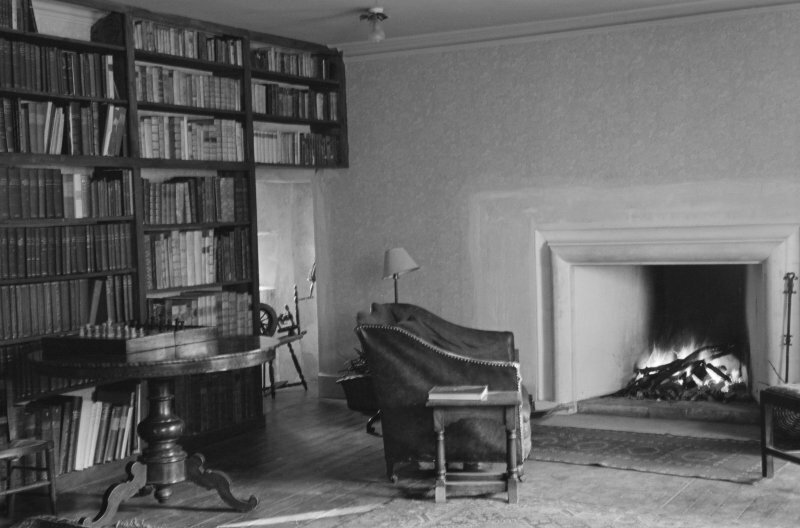 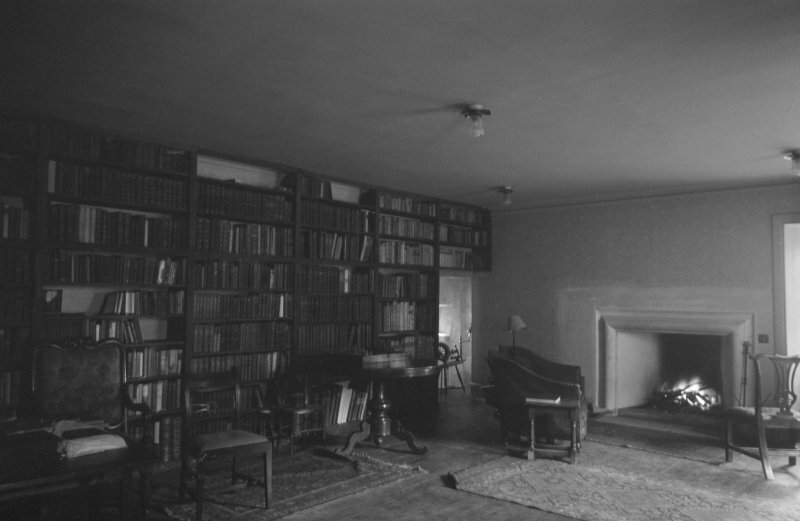 Interior view of Balbithan House showing library. 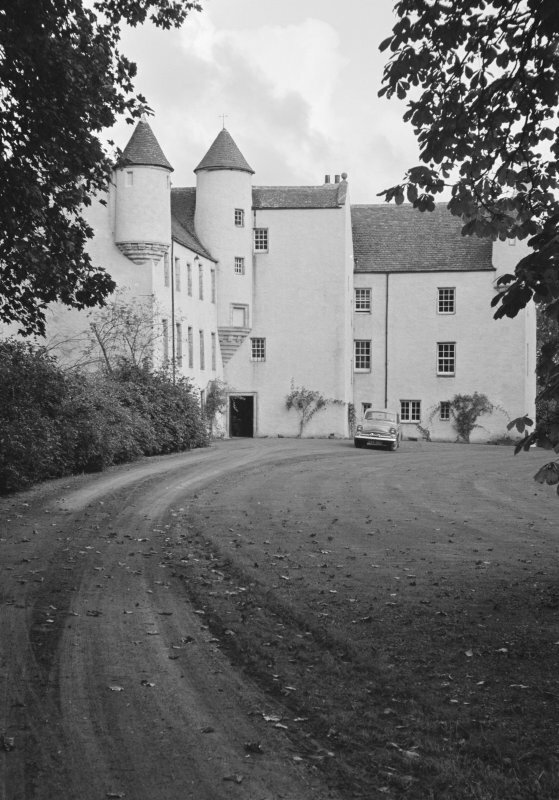 View of Balbithan House from SE. 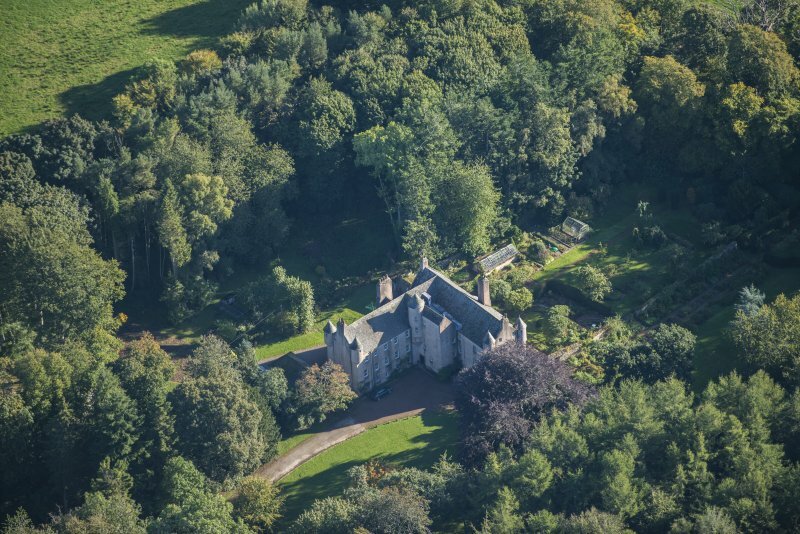 Oblique aerial view of Balbithan House, looking E.
Interior view of Balbithan House showing basement or ground floor. 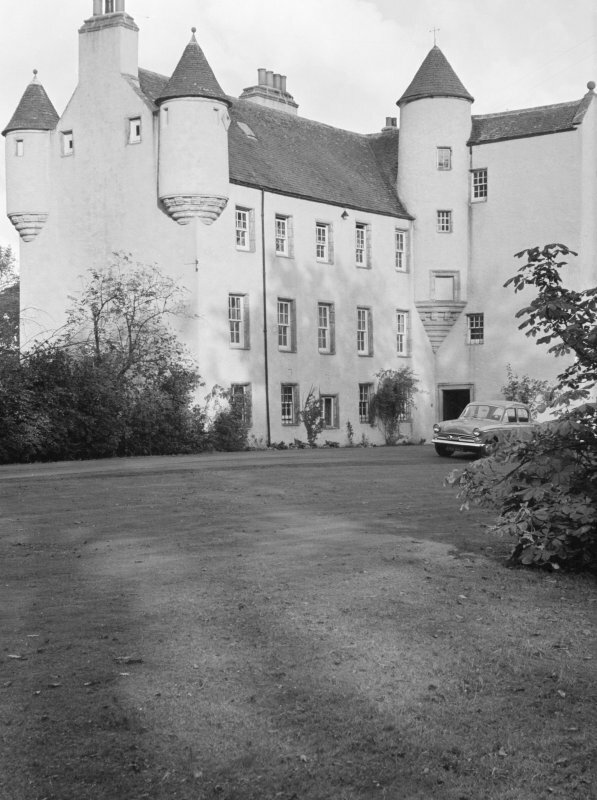 View of Balbithan House from SW.
View of Balbithan House from W.
Detail of turrets, Balbithan House. 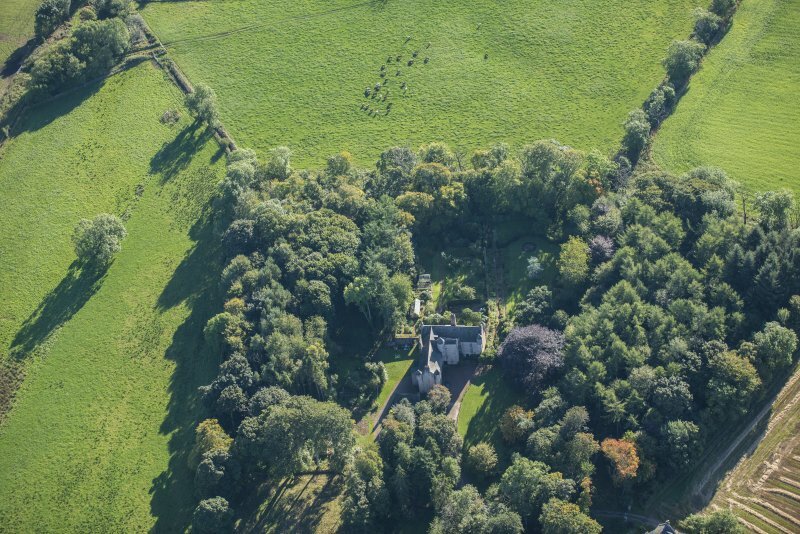 Oblique aerial view of Balbithan House, looking NE. 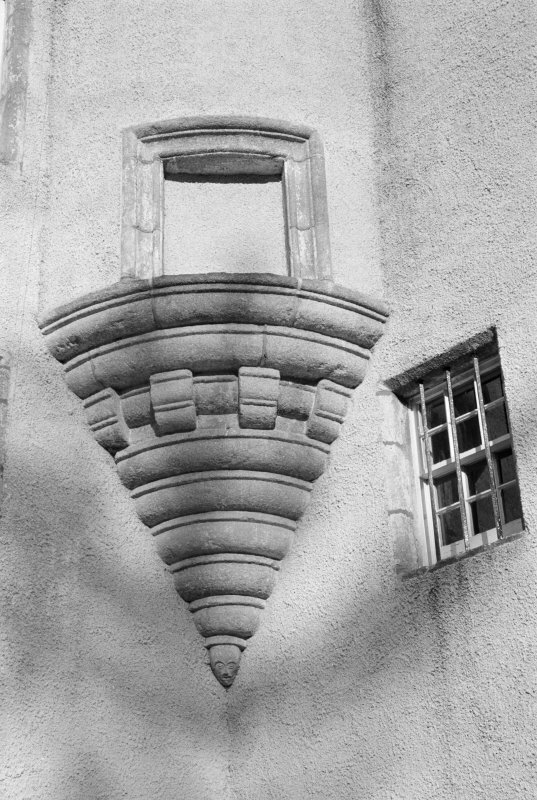 Detail of corbel of turret, Balbithan House. 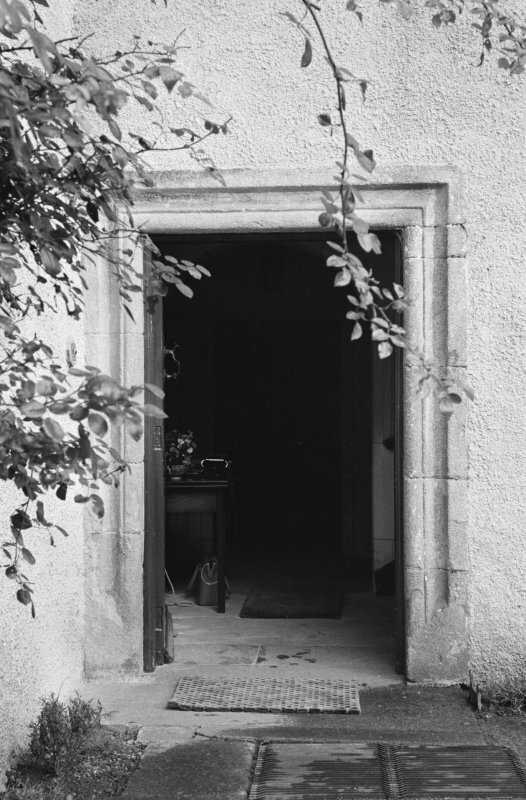 Detail of doorway, Balbithan House. 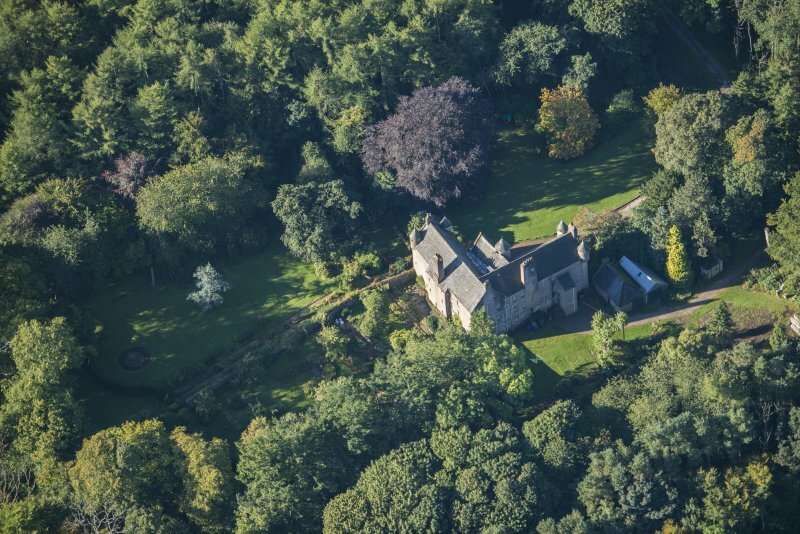 Oblique aerial view of Balbithan House, looking WNW. 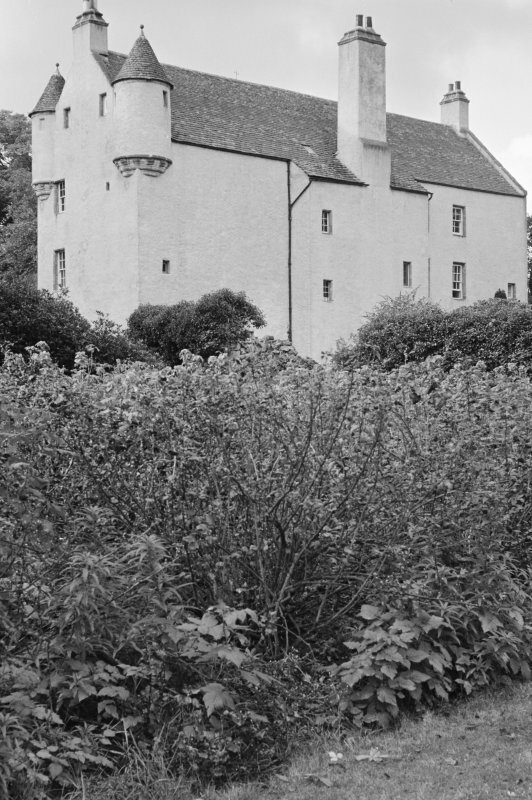 View of Balbithan House from S.
Balbithan House, 17th century. 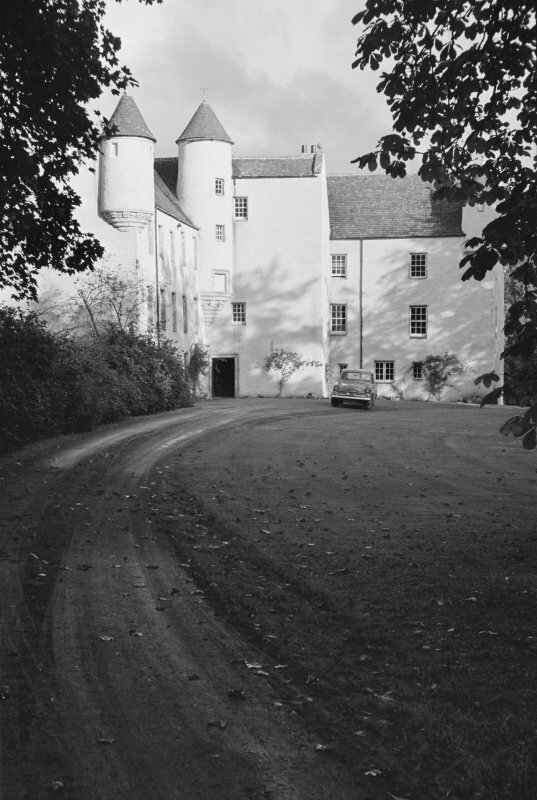 Extensive three-storey, harled, L-plan house with corbelled stair-tower in angle and turrets at corners. 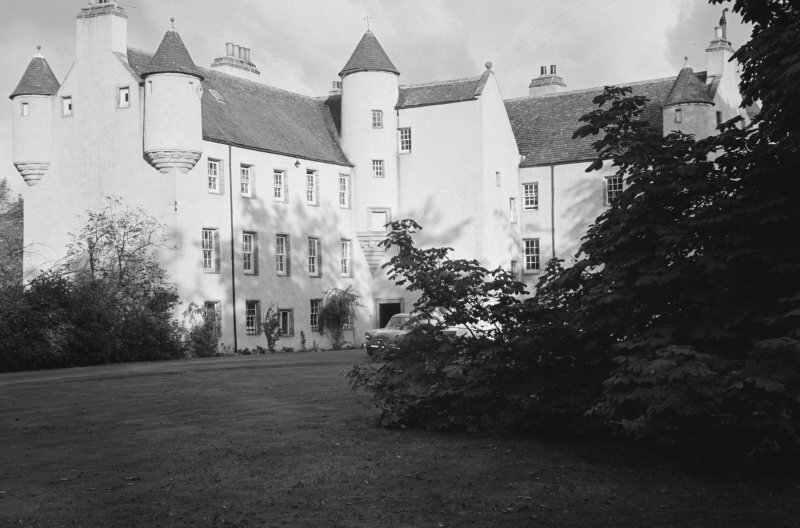 Owned by the Chalmers family until 1690, the south wing and the stair-tower are a good deal older than the rest. 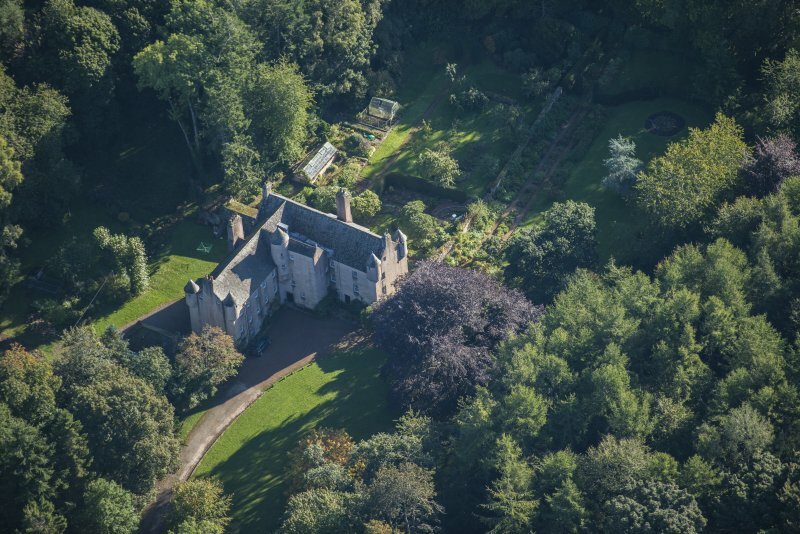 Important garden re-created by Mrs Mary McMurtrie. 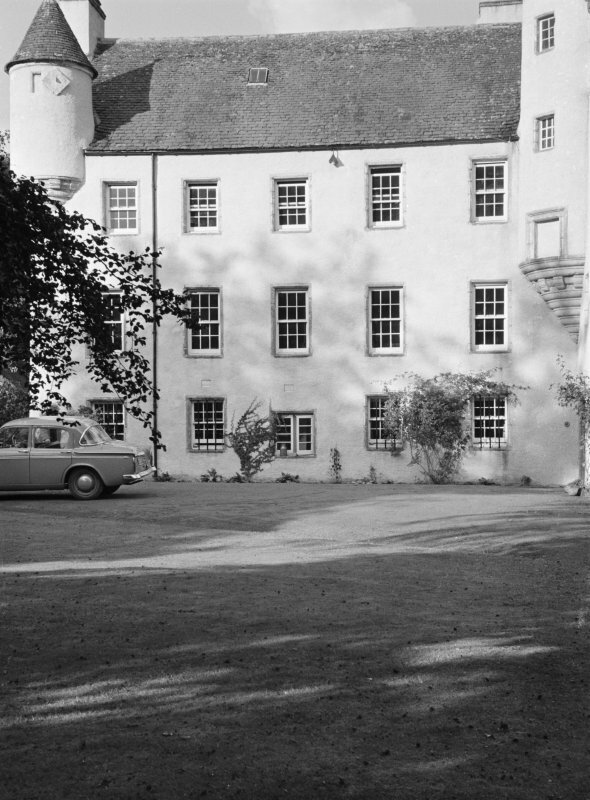 Balbythan House is a mansion of the latter half of the 17th century. 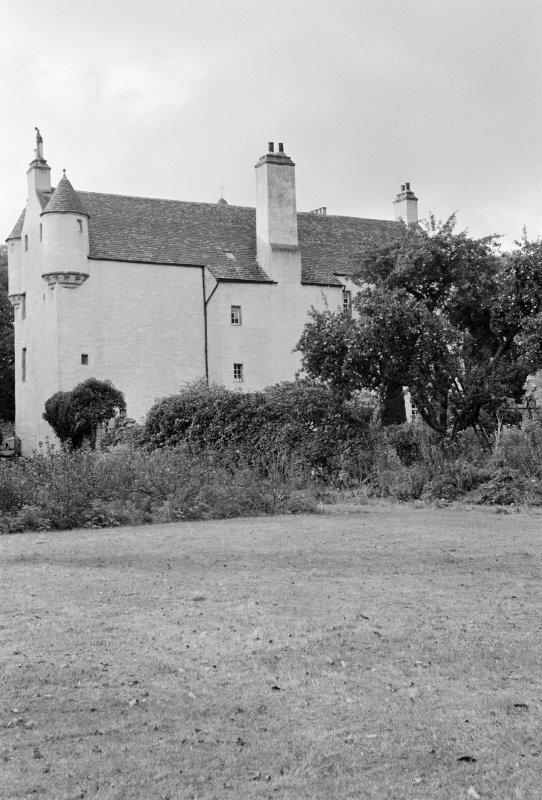 It is an example of the greatest development of the L-plan but has been greatly modernised. 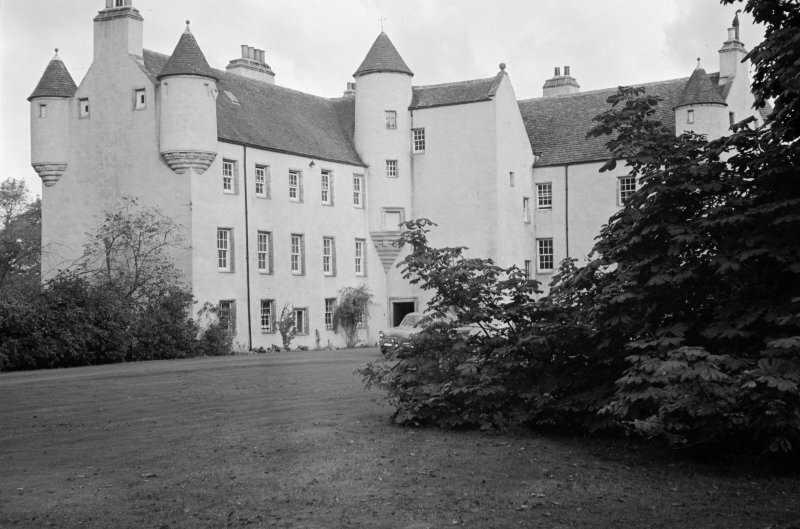 The mansion house, which is inhabited, is in good condition and is as described by above. 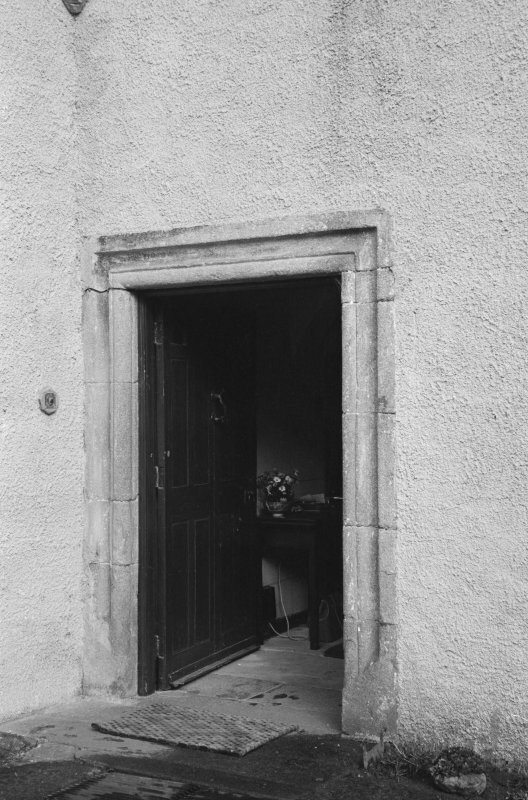 Visited by OS (RD) 19 March 1964. 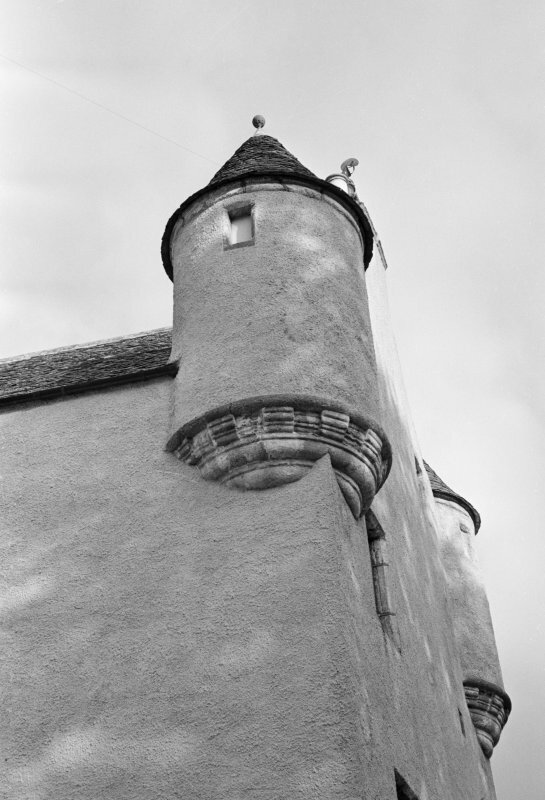 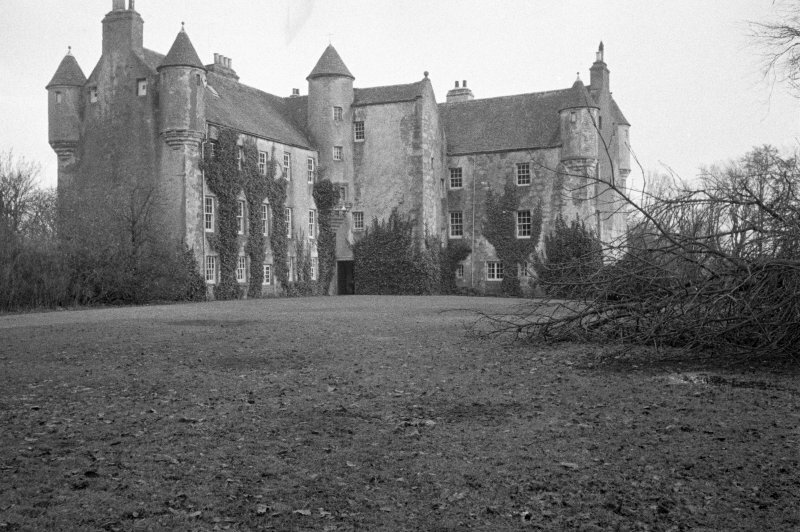 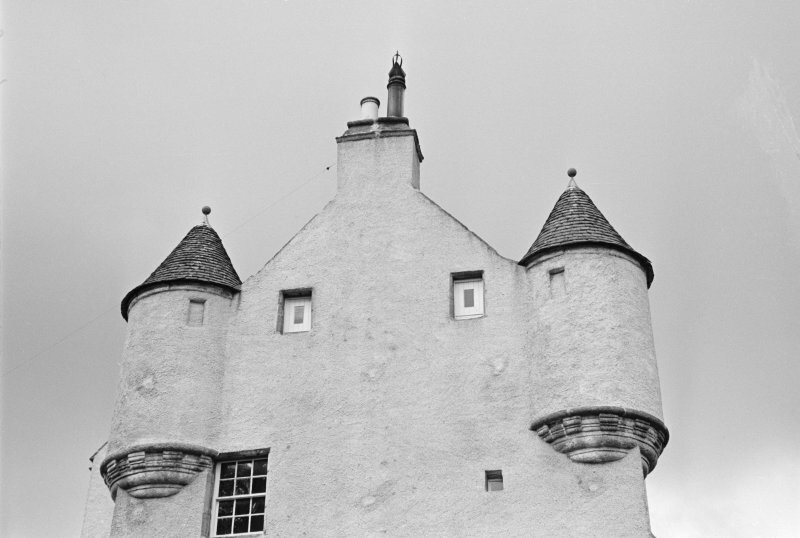 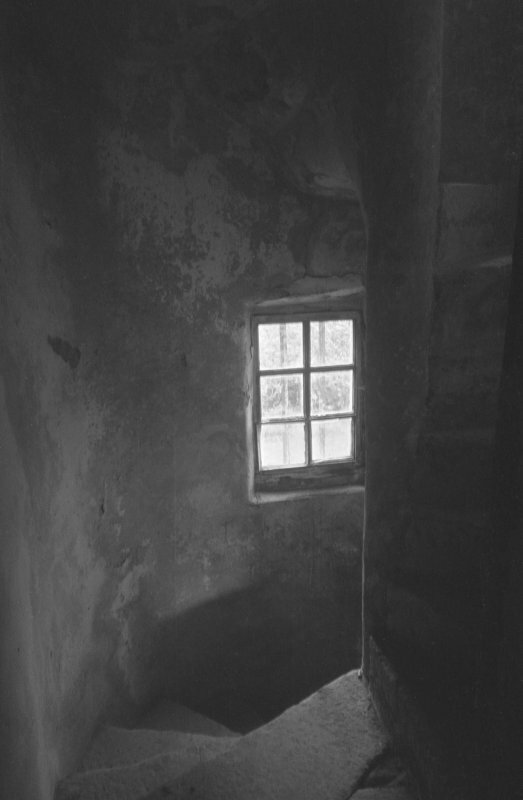 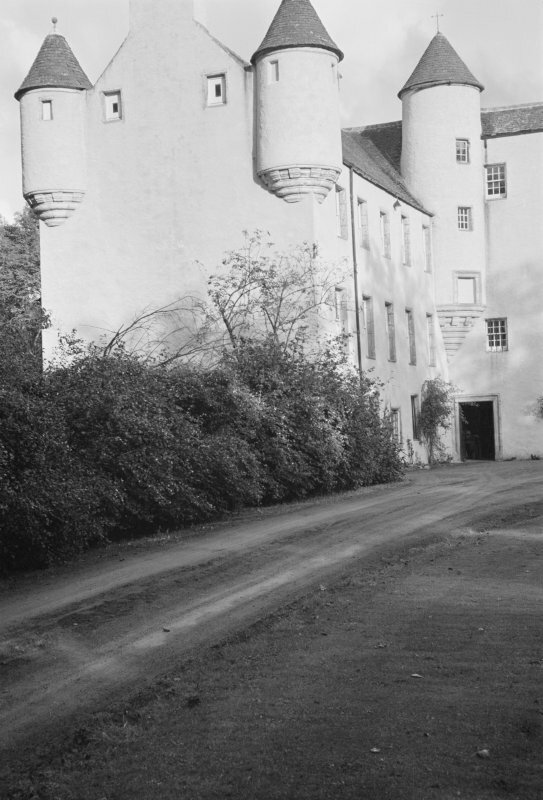 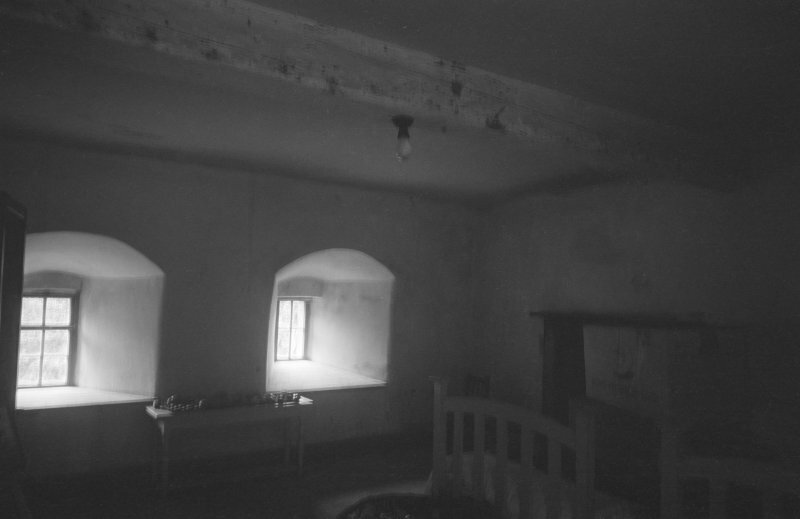 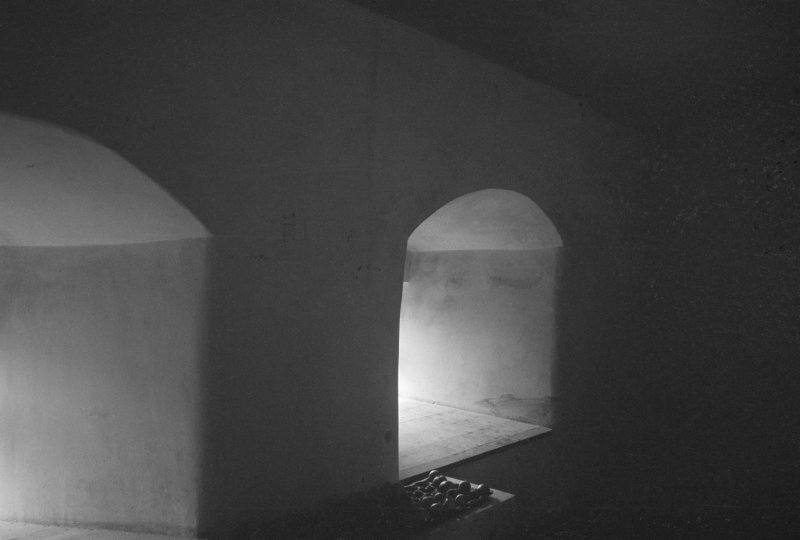 Photographic survey of Balbithan House, Aberdeenshire, by the Ministry of Works in April 1954. 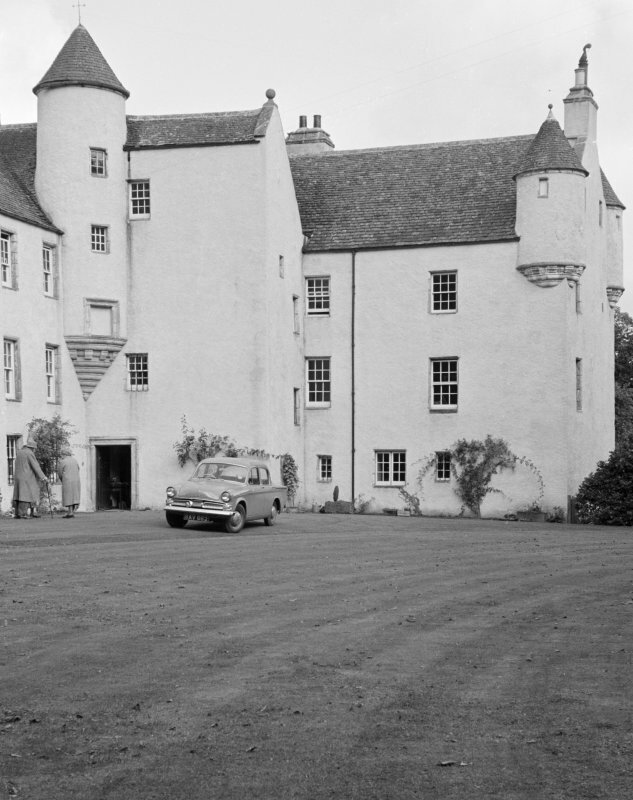 Photographic survey of Balbithan Hous, Aberdeenshire, by the Scottish National Buildings Record in September 1960.